Promising batsman Lokesh Rahul’s 110 not out went in vain as West Indies managed to defeat India by one run in the nail-biting first T20 International at the Central Broward Regional Park Stadium Turf Ground here on Saturday. With India needing 2 runs from the final ball, West Indian all-rounder Dwayne Bravo kept his nerves to dismiss Mahendra Singh Dhoni (43) with a slower one to take the Caribbean side home. Rahul struck the second fastest century in T20 Internationals to guide India to an almost improbable win before the last ball twist changed the fortunes of the men in blue. The 24-year-old Rahul, who was preferred over regular opener Shikhar Dhawan for the match, made the most of the opportunity, bringing up 89 runs for the third wicket with Rohit Sharma (62) before almost guiding the team to victory with a 107-run stand with Dhoni. Earlier, India were off to a disappointing start losing the key wickets of opener Ajinkya Rahane (7) and Test skipper Virat Kohli (16) cheaply, until Sharma was joined by Rahul and their 89-run stand for the third wicket provided momentum for the chase. Earlier, riding on opener Evin Lewis’ century, West Indies posted 245/6 after being sent in to bat, in what is the US’s only International Cricket Council (ICC) recognized cricket stadium. The Indian bowlers had no answer to the onslaught launched by the West Indians with Charles being the more aggressive of the two. Jadeja brought the smiles back on the faces of Indian fans by trapping Russell plumb in front in the same over but not before the West Indies crossed the 200-run mark. Skipper Carlos Brathwaite (14) and veteran Keiron Pollard (22) then continued the fireworks in the middle with a 31-run stand before Brathwaite fell prey to Jasprit Bumrah’s brilliant presence of mind to be run out on the first ball of the final over. Marlon Samuels (1) and Dwayne Bravo (1) then survived the last ball with a single, but it was enough for the West Indies to get to the third highest T20I total and third highest overall score. 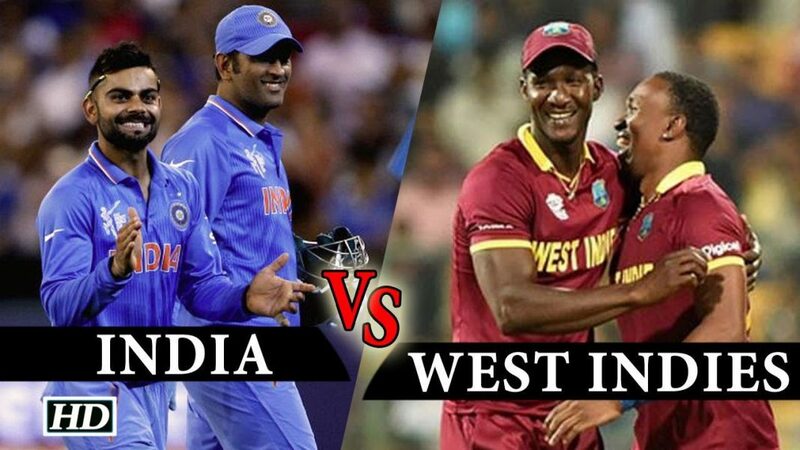 Both the teams will face off in the second and final match of the series at the same venue on Sunday.